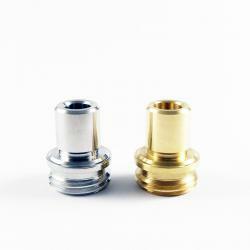 JMK American modder offers Accessories and Drip Tips for atomizers, mods and Billet Box. Beauty Ring Machi 22mm to 24mm made in SS by JMK. 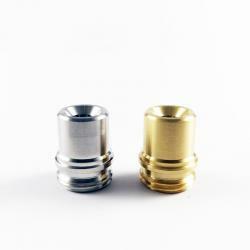 BB TIPS REV4 - Drip Tips made to fit the Billet Box Rev 4 devices ! CNC machined out of T304 stainless steel and naval brass. BB REV4 BUTTON, these are replacement sunk buttons for the Billet Box Rev4 only! Sunk Version. 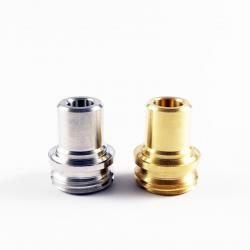 BB REV4 BUTTON, these are replacement buttons for the Billet Box Rev4 only! Flat Version.